The measure, widely known as the “warning shot” bill, has passed the House Judiciary Committee and is making its way to the full Florida House. 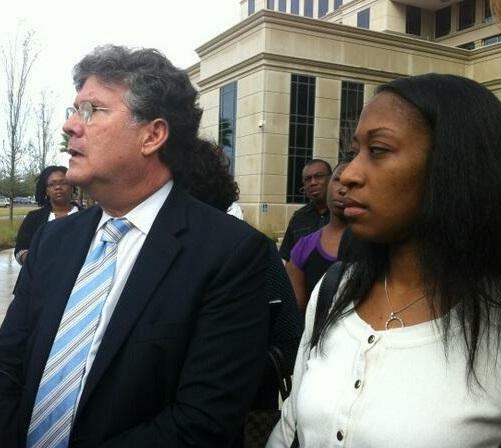 The bill has gained momentum across the state since the high-profile Jacksonville case of Marissa Alexander. It extends the same protections granted under the state’s controversial “Stand Your Ground” laws to those who only threaten the use of force. 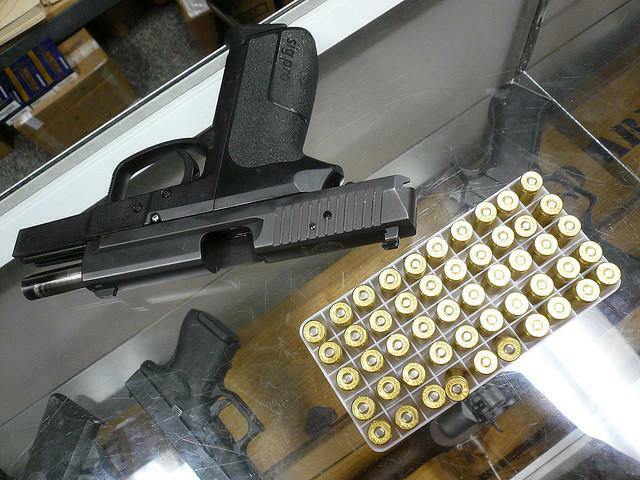 Under a current state law commonly known as “10-20-Life,” having a gun while committing certain crimes is punishable by at least 10 years and by 20 years if the weapon is fired. “I think most people don’t currently understand that if you fire a warning shot at or in the direction of somebody, you have committed a felony, that warning shot is punishable by 20 years in prison,” said Rod Sullivan, professor at Florida Coastal School of Law. Sullivan said it was the case of Marissa Alexander, who was sentenced to 20 years for firing a gun into a wall during a dispute with her husband, that garnered widespread attention to the so-called warning shot bill. And it is not the first time legislators have proposed a bill like this. State Representative Neil Combee proposed a similar bill amending "10-20-Life" in 2013, but it lacked enough support to survive. This time around, Combee’s bill seeks to amend “Stand Your Ground,” and it is seeing growing support, even among those typically opposed to the state’s self-defense laws, like Aleta Alston-Toure. Alston-Toure heads the grassroots organization “Free Marissa Now.” Alston-Toure was on a panel of lawyers and advocates speaking out against “Stand Your Ground,” earlier this month. But she said she supports the new measure shielding those who threaten force. In January, an identical Senate bill proposed by Senator Greg Evers passed in the Senate Criminal Justice Committee. Evers said while Alexander’s case may have played a small role in his support, it was the story of others in similar situations that spurred him, like that of 74-year-old retiree from the Panhandle. “He actually pulled out his weapon and fired a warning shot to scare off some guys and he wound up with a 20 year sentence and took a three-year plea, so that was when my passion really got upset,” he said. The issue was briefly referenced during the recent murder trial of Michael Dunn in the death of Jordan Davis. During testimony, Dunn was asked by his attorney if he was aware that firing a warning shot was illegal in Florida. Dunn replied that he was. Evers says a bill in place could have made a difference. “I think it’s very possible that there could have actually been two lives saved out of that situation,” he said. But Assistant State Attorney Mark Caliel objects and so do the members of the Florida Prosecuting Attorneys Association who were in Tallahassee earlier this month to discuss the new bill. Caliel said the current state laws already protect individuals seeking to protect themselves. “The law as it exists currently allows for the use of justifiable use of deadly force as a defense to brandishing a weapon,” he said. But the Jacksonville prosecutor said they have the potential to make a bad situation worse. “By creating this law and adding language and by calling it, for lack of a better term—I think it’s inappropriate to call it this way—the warning shot bill, you are emboldening people to brandish weapons or to fire warning shots, when they feel they are justified,” he said. The Senate Judiciary Committee will vote on its version of the bill the first week in March. TALLAHASSEE (The News Service of Florida) — Local governments want back some control over short-term vacation rentals, contending that a nearly 3-year-old state law has allowed little-regulated mini-hotels to grow amid residential communities. But supporters of the 2011 law say Florida has achieved three consecutive years of record-setting tourism numbers in part by allowing homeowners to seasonally rent their properties. A vacation rental is considered any property that is leased more than three times in a calendar year, each time for periods of fewer than 30 days. The attorneys who tried the Marissa Alexander case say they don’t plan to change their strategy when they take the case to trial again. The 1st District Court of Appeals has ordered a new trial for the Jacksonville woman whose case became a national rallying cry against “Stand Your Ground” enforcement and mandatory minimum sentences. The appeals court threw out Alexander’s conviction Thursday, saying that the instructions the judge gave the jury were flawed.